Click https://www.amazon.com/dp/B074Q3L6YJ to purchase today! 73% of seniors who plan to stay in their own home will fail at that plan. Educating yourself on what lies ahead through concepts and tips in A Guide for Aging Parents, and creating a care plan can help you avoid stress and crisis in your family later. I fell asleep while cooking Fried Chicken! Is that why the Fire Department is here? How will Mom pick up Dad if he falls? Who do I call for over-all help for my parents? 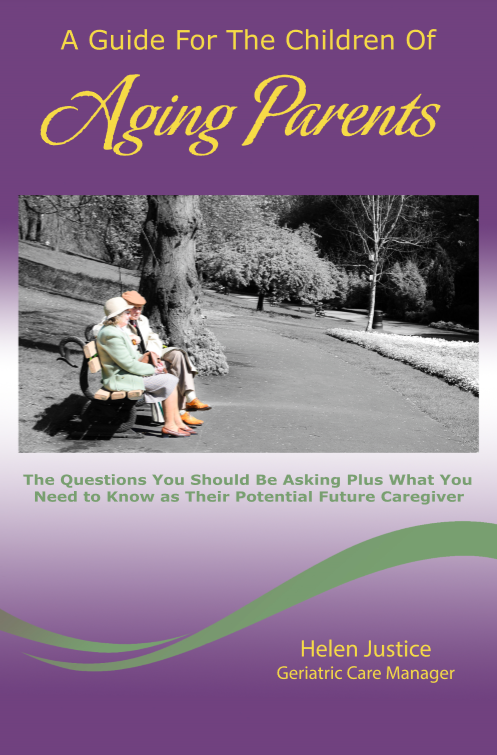 This is just a sampling of the questions asked by adult children of aging parents. This book covers these questions and so much more! Find out what you need to know to take care of your parents as they get along in the years. Through 7 chapters you’ll learn about senior care, financial planning, applying for public benefits, finding assisted living and become prepared to deal with aging parents. Copyright © Advanced Wellness GCM, Inc. 2014. All Rights Reserved.